MagIC is an optical, high-throughput CCD camera system currently operating on the 6.5-m Clay telescope at Las Campanas Observatory in Chile. It consists of a 2048 x 2048-pixel SITe CCD, a filter wheel containing Johnson-Cousins and Sloan filters, and is cooled by a cryotiger. MagIC has four amplifiers to provide a readout time of ~ 20 seconds (unbinned). The camera was built by J.L. Elliot (PI) and then PAL-member D.J. Osip. An upgrade is currently underway to mount a second, frame-transfer CCD in the MagIC dewar to allow high-speed imaging. POETS is a portable camera system optimized for occultation observations. Each POETS consists of a back-illuminated, frame-transfer, 512 x 512-pixel CCD camera; high-precision GPS; computer; monitor; and all components required for the operation of these primary parts. Readout rates can reach hundreds of frames per second (with binning and subframing) and the read noise is very low ( ~5 e~ in 1 MHz mode). The entire system fits into two carry-on bags, allowing for easy transport and mounting on telescopes all over the world. POETS was designed and constructed as a joint venture between the PAL and our collaborators at Williams College. The PAL and Williams College each currently support and employ three POETS. Additional details can be found in Souza et al. (2006). 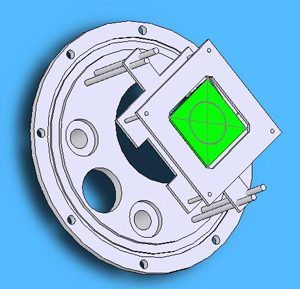 A variation on the MagIC system, WAOCam is a cryotiger-cooled, 2048x2048-pixel SITe CCD for use by students and staff at MIT's Wallace Astrophysical Observatory. Inital camera construction has been completed, and now software and wiring tests are underway. 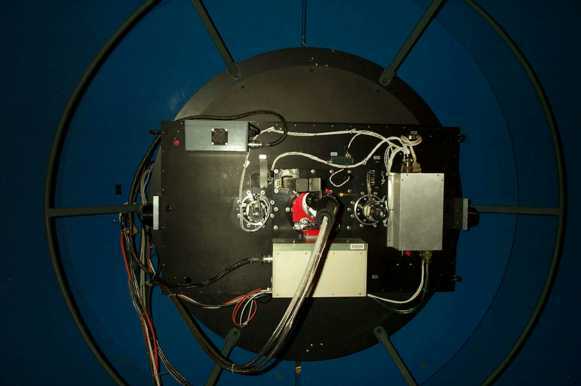 We expect WAOCam to be mounted on the WAO 24-in telescope and begin taking data in the fall of 2007. Initial work was carried out by PAL undergraduate F.E. Rojas and then PAL-member S.D. Kern. Current work is being conducted by F.E. Rojas and M.J. Person, with assistance from S.E. Kissel of the MIT Kavli Institute for Astrophysics.